During most team practices, athletes will engage in agility drills, whether it’s running through ladders or a course set out with cones. But one major element of agility training is often overlooked—the ability to swiftly react to different situations. While tools such as ladders and cones are great for conditioning and speed work, the exercises that are used with them might not be giving athletes all of the expected benefits of agility training. In a blog for Train Heroic, Danny Takacs, CSCS, explains that because athletes can already see the path that they are going to take, they might not be working to the fullest extent on their physical and mental agility. Instead of having athletes constantly run the same patterns time and time again, Takacs suggests adding a level of unpredictability through using drills that involve athletes changing direction or speed in reaction to some kind of cue. This could be anything from pointing a hand to blowing a whistle. Doing this allows you to change up the athletes’ workout at any time, causing them to make split-second decisions and move quickly in multiple directions. A major positive of utilizing reactive agility drills is that there is often no need for any equipment. However, you can utilize your cones and ladders, and even have your athletes engage in motions similar to previous drills. Just make sure to add a component where athletes have to respond to either you or another type of external stimuli at seemingly random intervals. For example, during a routine ladder drill, a coach could instruct the player to change direction at the sound of a clap. By implementing the reactive component, coaches can also create drills that are more individualized to the athlete and the sport. 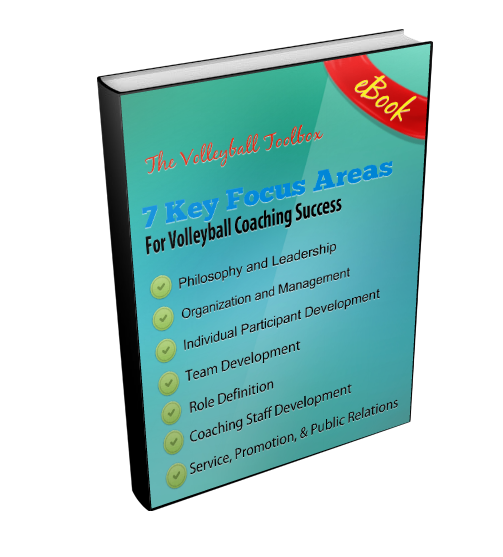 For example, a volleyball coach might incorporate a drill where players must sprint to any spot that is pointed to, and immediately return to their original position. To further the understanding of reaction agility training, multiple researchers have done studies into the percieved benefits. Their results show that reactionary measures are an effective method for increasing your athletes’ chances of beating their opponent on the playing field.